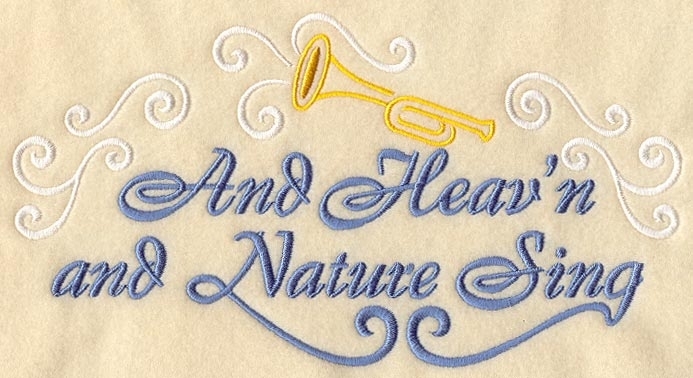 This spirited Christmas song design is wonderful on shirt fronts, quilts, and more! 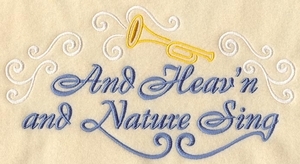 High quality embroidery with original German Madeira threads. Custom-sizes up to 12"x20" (32x50 cm). are welcome. This nice-looking pictures with personal touch are by default coming unframed so that you can select frames at your local shop.